Over the past decade, my basketball fandom has been tortured by the San Antonio Spurs. Fundamentally perfect and frustratingly boring, the NBA’s flawless franchise never seems to fail. As long as I have been alive, I have never gone into a regular season thinking the Spurs would be bad, or even average for that matter. My personal form of hell as a child was watching Tim Duncan, Tony Parker, and Manu Ginobili jog up and down the court and perfectly execute a balanced half court offense, ultimately finishing with uncle Tim banking one off the glass from 15 feet out for two points. The Spurs formula NEVER failed. It was constant basketball perfection and it sucked. As I grew older, I slowly began to gain a liking to the always-succeeding but never-exciting Spurs. I always knew I had to respect them, but now it was becoming more of an admiration. With Tim Duncan turning 39, and Tony Parker and Manu Ginobili being 33 and 38 respectively, it was only a matter of time before the team of the decade began to dwindle down. Or at least so we thought. This past week, the Spurs pulled off every general manager’s perfect offseason: Taking a successful team, and managing to rebuild AND resign in the same summer. San Antonio went out and immediately resigned their 2014 Finals MVP Kawhi Leonard and key role man and sharp shooter Danny Green. After making a few salary cap deals to free up space, the Spurs then went out and signed one of the summer’s most sought after free agents in forward LaMarcus Aldridge. Things somehow continued to get better on Monday as Manu Ginobili announced he would return to the team and push-off retirement for another year. Hours following this move, David West walked away from $12M in Indiana to join the Spurs for a chance at a ring. That kind of stuff doesn’t happen in the NBA; but I guess it does in San Antonio. As long as I’ve been alive, the Spurs have always placed themselves in their own realm of existence. They do things differently than everyone else; the Spurs way. 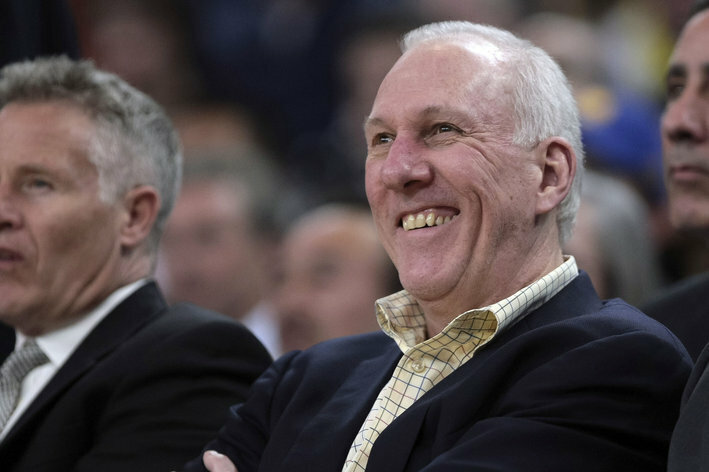 Popovich and the gang have found the perfect formula for continuing to succeed while at the same time handing the reins to younger players as their core continues to grow old. The last time the Spurs missed the playoffs, I was a year old, and Bill Clinton had just defeated Bob Dole to begin his second term as U.S. President. Hate it or love it, “the Spurs way” has, and always will be, undeniably awesome. 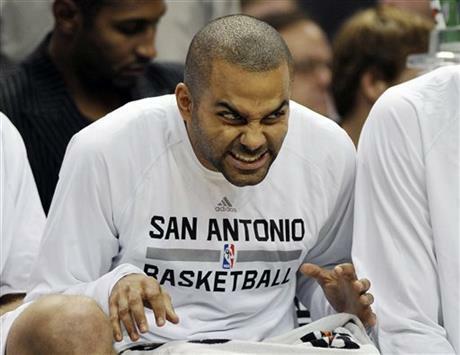 I never thought I’d say this, but I’m rooting for the San Antonio Spurs. I’m rooting for Kawhi Leonard to become the NBA’s next superstar. 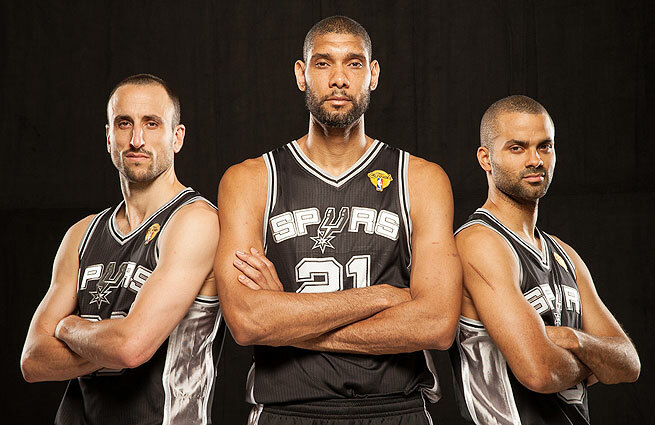 I’m rooting for Tim Duncan, Tony Parker, and Manu Ginobili to find basketball immortality. I’m rooting for more Gregg Popovich interviews. They are everything the NBA is not. In the neighborhood of The Alamo, there is no I in team, regardless of what the rest of the league tries to tell you. So gear up for the 2015-2016 San Antonio Spurs. Their offseason onslaught is still ongoing and they are already locked and loaded. Plus their mascot is a psychotic-looking fox. If that doesn’t sell you on this team, then I don’t know what will.